Professional Firefighters of Maricopa are hosting their inaugural Custom Car Show April 6 at Copper Sky. When: April 6, 9 a.m.-2 p.m. The event, which runs from 9 a.m. to 2 p.m. on the Great Lawn, benefits Arizona Cancer Foundation for Children and Firefighter Charities. 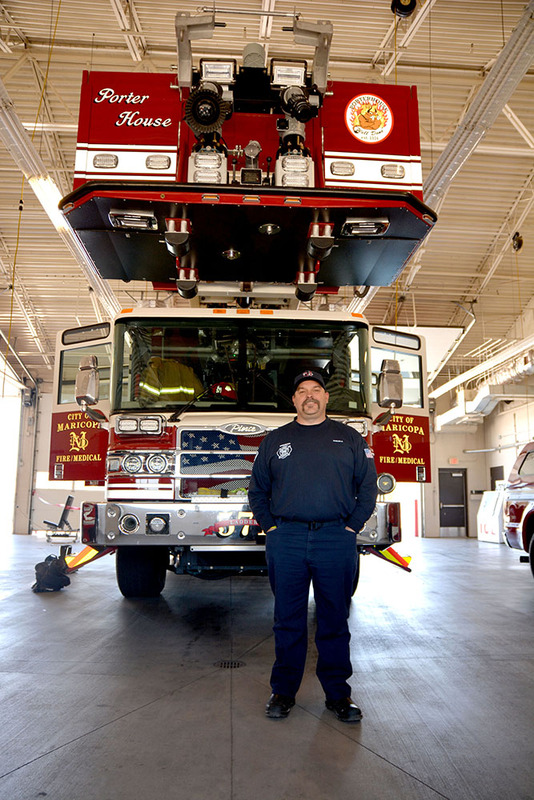 “We’ll be collecting toys and monetary donations through the car show to help with other medical costs,” said engineer Carlos Schulz of Maricopa Fire/Medical Department. Firefighters are asking for new, stuffed toys to give the children of the Foundation. Firefighters Charities provide temporary relief for families displaced by fire “until help from the Red Cross kicks in,” he said. The relief fund also assists families who may have had a death or a hardship. The car show will have 25 class awards and five specialty awards. Entry is $25 for pre-registration or $35 the day of the show. There will be a $5 discount for anyone donating a new stuffed toy on the day of the event. Schultz said specialty awards will be Best of Show, People’s Choice Award, Best Paint, Best Interior and Kids Choice Award. The event will be DJ’d, and there will be a 50/50 raffle, silent auction, food trucks and giveaways. The first 100 cars to enter receive a dash plaque.